Commission With Confidence. 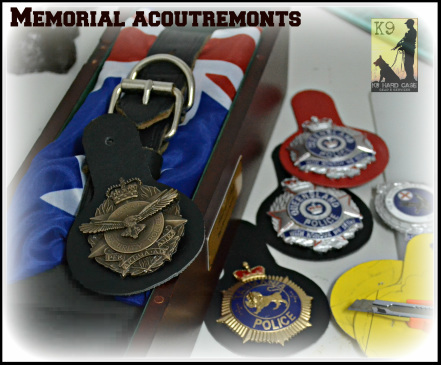 K9HC also produce 'commissioned pieces' exclusively for agencies. Individual commissioned pieces can be purchased to incorporate into your own design ideas. * Commissioned, is via agreement and/or expressed permission of an agency (verbally or in writing) via a delegate of that agency. 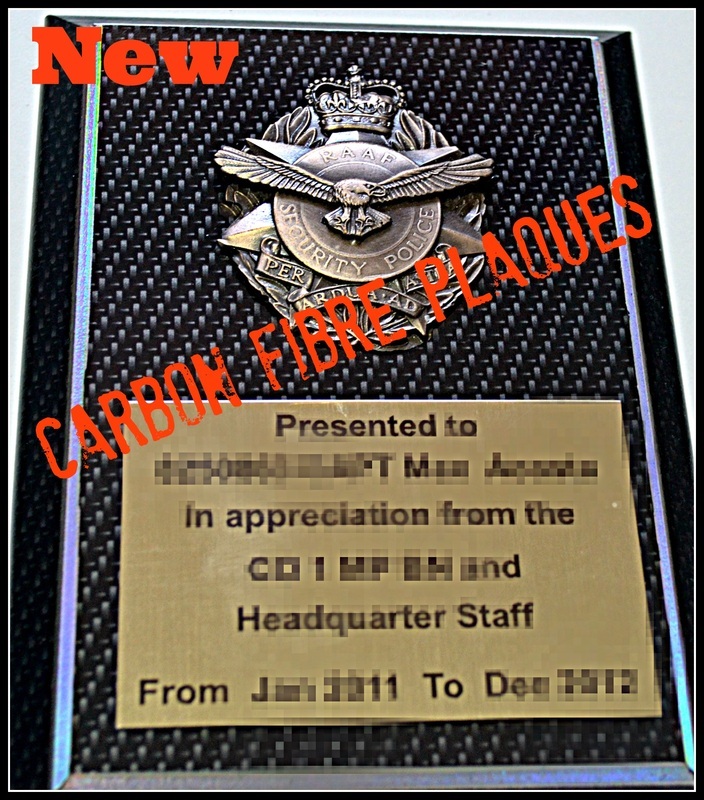 * The purpose is to reproduce work to be mounted as special/farewell or retirement gifts, for qualified members of that unit/agency and not for sale to public. * Work is reproduced, so as to maintain integrity & identification as a specific memorial/gift piece and not to be used for illegal purposes or portrayed as an official item. This responsibility lays with the agency once it is received by that agency. 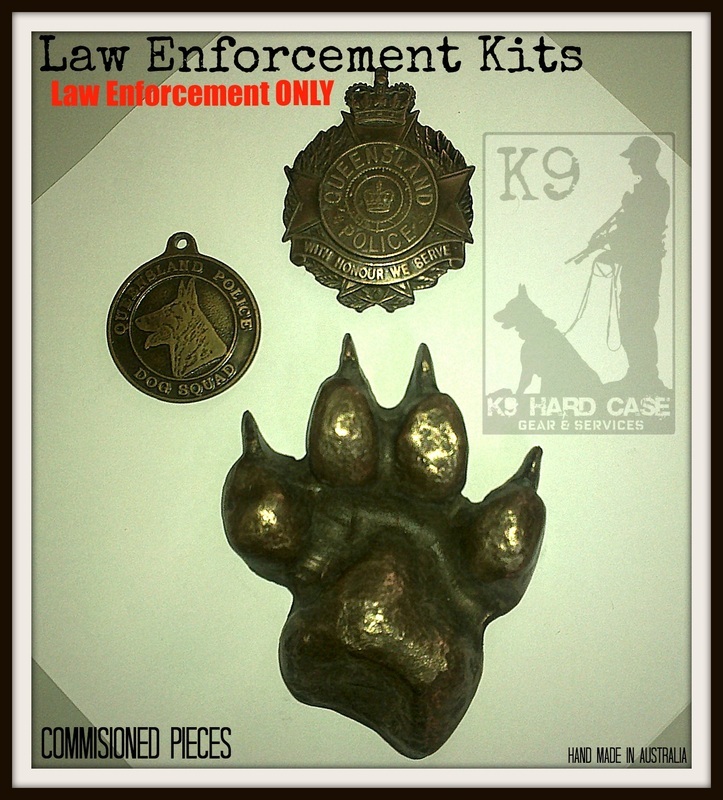 K9HC are the owners of all work (including IP and images) and reserve the right to showcase our work on our media or with written permission for other agencies to do so on their media. Welcome to our premiere opening item for the new line of 'WAR TROPHY' Series products. 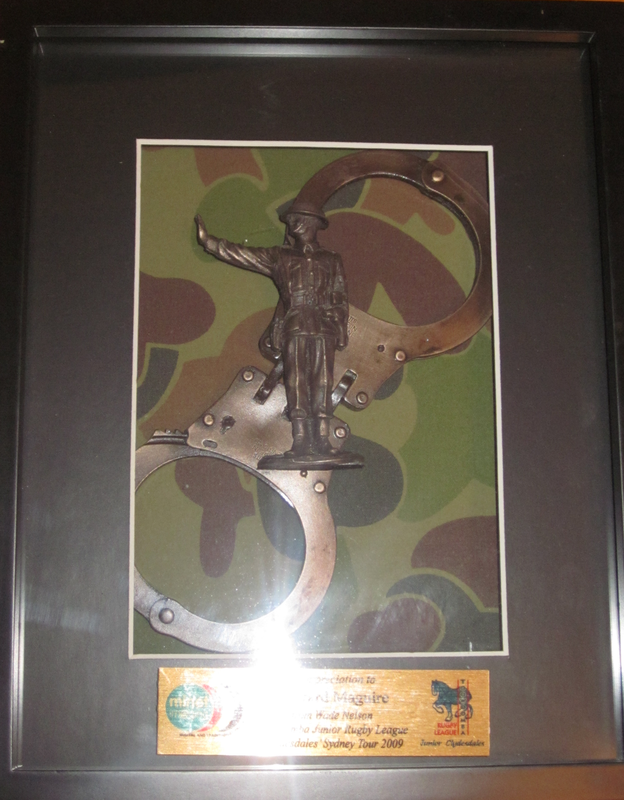 This was modeled from a prominent figure of Australian WW1 History within the Royal Australian Corp of Military Police. This custom bronzed casting is 60cm tall, handmade and specifically designed to be wall mounted on the choice of your backing. This option increases the variety of design options for you or your unit, which can be added to with various backgrounds insignia, and other accoutrements of your choice (our design team can also assist) and source Museum grade mounting options or good quality frames. Our hand laid molding process and high quality chemicals ensure that every detail is captured. The height of this product is approximately 60cm tall. The depth is 10cm and can be made in bronze, brass, aluminum and other finishes. 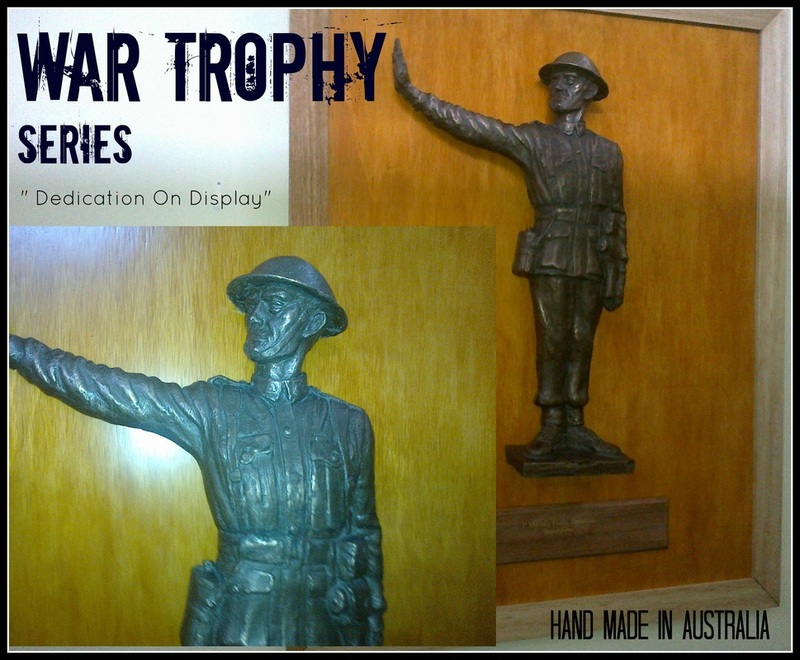 This range of custom made products can be achieved with any item you may have sitting on a table, in the corner, or on a book shelf that; would be better presented and displayed in a wall mount 'War Trophy style' option like 'The Pointsman'. Please email a picture of your item for a no obligation quote today. 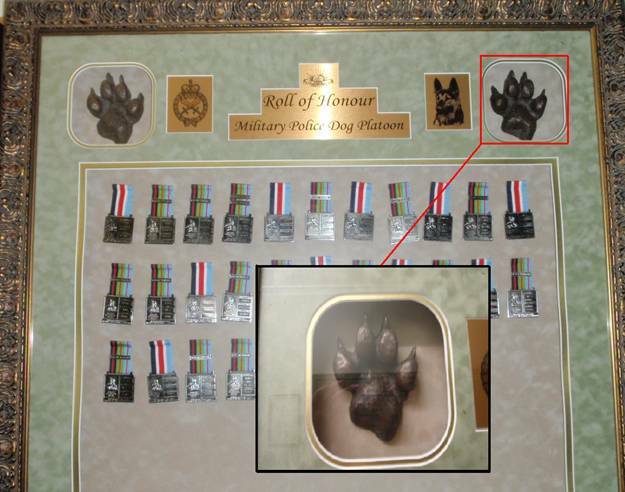 In designing the K9 Hard Case memorial product, We also designed the wall mounted War Dog Medal frame, in which the operational service medals of our dogs are secured in. Once my superiors approved the design, it was contracted to a local company to produce. 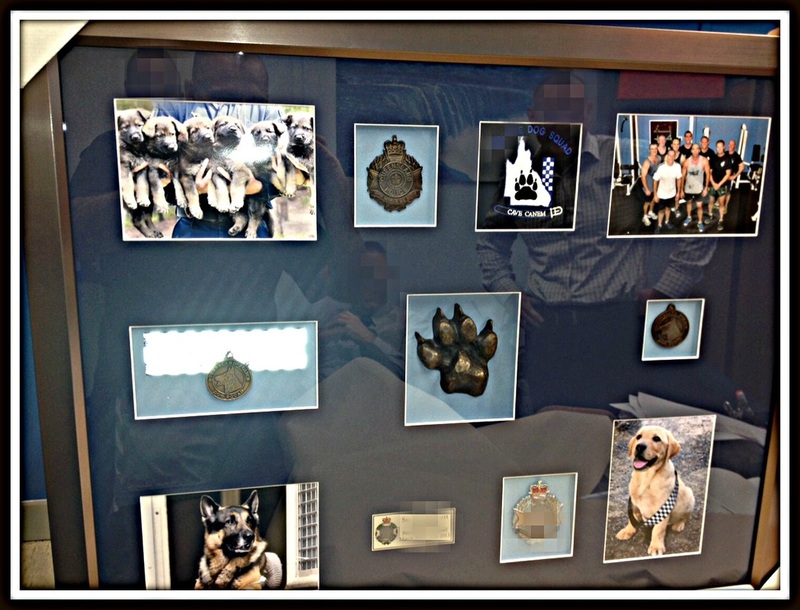 The result is an outstanding display case and memorial in itself, to the service these dogs provide the Australian Defence Force. Contact us today if you have a design or would like a custom design made for your unit. 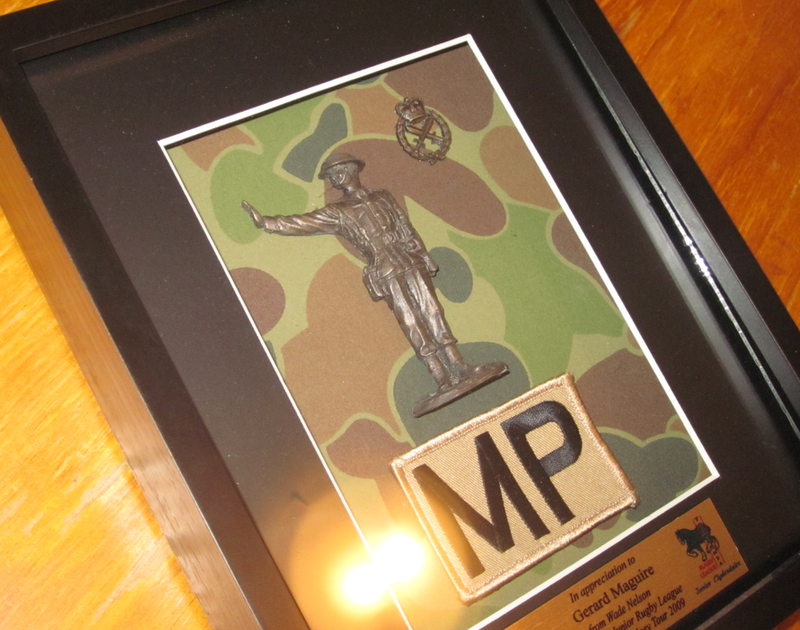 Below are a couple more examples of unit farewell gifts that we make. 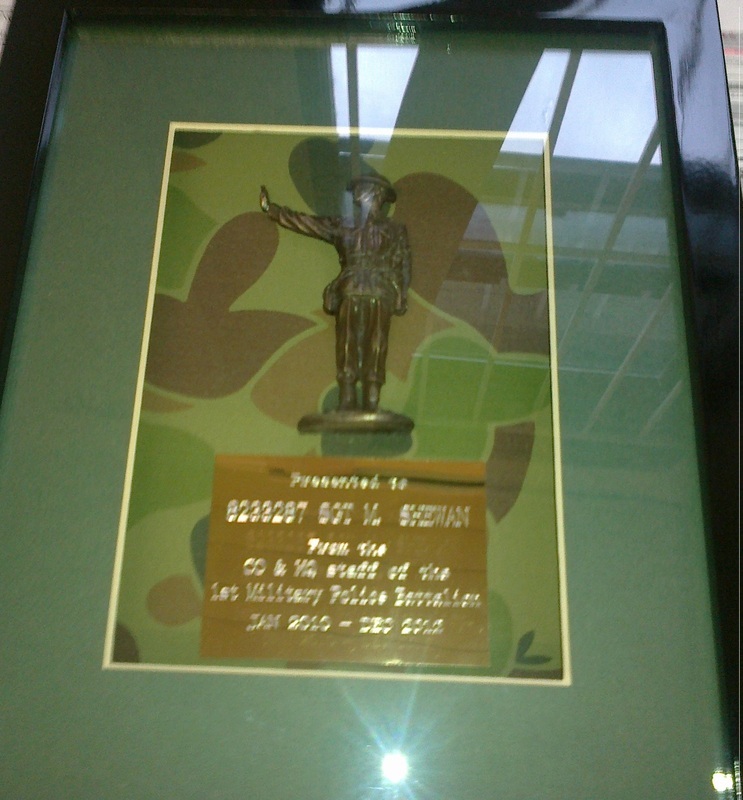 (pictured left) to commemorate ones service and dedication to duty.